Over the past four years serving at the Fond Blanc orphanage, daily life has often seemed like an ongoing exercise in triage. That is to say, all luxuries and even some basic necessities have gone lacking as volunteers have struggled to stretch insufficient resources over only the most important priorities of elemental survival. 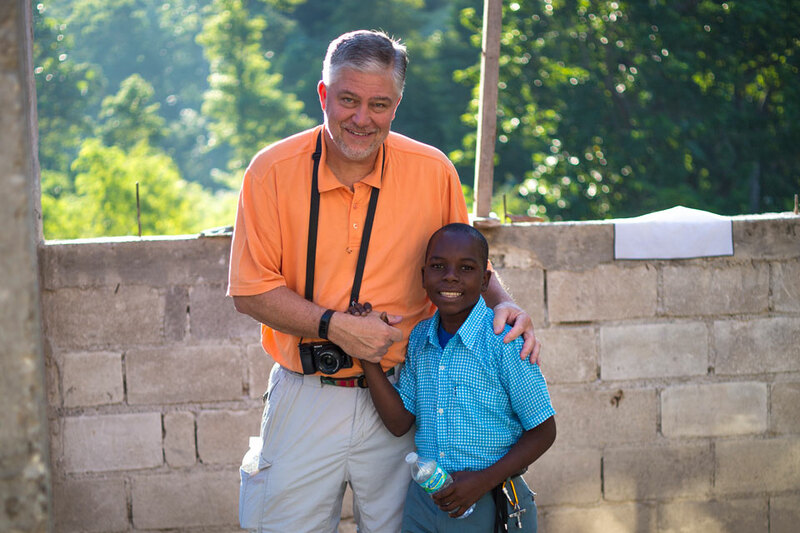 In those days, we just accepted that life in Haiti and at the orphanage was like that, but I am glad to say that does not describe the routine there today. Today, the rhythms of daily life are less extreme and less frantic, and we feel like we are on the cusp of momentous improvements in the quality of life at the orphanage. Even so, we still encounter unexpected gaps in the basic needs of the children. For example, just the other day several of the children were bathing without soap. The soap had run out two days earlier and had not yet been resupplied, either because there was no money for soap or because no one had made the trip to get more. This example highlights a major theme for the Fond Blanc Foundation in 2015: A Year of Process and Provision. Maintaining good processes means not running out of things like soap unexpectedly. Thanks to the daily stability the orphanage now enjoys as a result of all the wonderful work done to date, our staff has begun to turn their attention to setting up procedures that will ensure no more such “gaps”. We are putting into place an operating plan, which should account for all needs, big and small, and sets up a procurement process for all such items. By modeling such procedures and organization, we provide opportunities for the Haitian caregivers to learn best practices of good stewardship. If all this introduction of processes seems a bit imposing or heavy-handed, please remember two things. First, modeling successful resource management practices merely allows our Haitian friends to learn better techniques, and is just another way of helping them to help themselves. Second, the whole idea of extra supplies is a new and welcome development for people who have had to live hand-to-mouth for so long. This is where Provision meets Process. Our resource management can only be as good as the funding provided by our supporters. The more predictable our funding, the more confidently we can lay out funds for supplies. But before we really asked for commitments to help, we wanted to be sure we had a solid grasp of all expenses and a good process for managing all the needs at the orphanage. Now, we can say that we do. Our Provision goal for 2015 is to secure advance funding and pledges in an amount that will allow us to confidently budget for the full year’s needs. We have been busy documenting and accounting for all the operational costs at the orphanage, and we are now able to present a complete and reliable picture of what those financial needs are for the next year and how a donation can specifically effect change. In other words, donors can be confident that their funds will finish the job successfully. So we are excited to invite everyone to join us in partnership, serving the Fond Blanc orphans through Process and Provision in 2015. Between our new procedures that smooth out the rhythms of daily life, and your provision of necessary resources, we can make that happen together. Please visit our website to review the many ways your contribution can make a specific difference or contact us directly to ask questions.